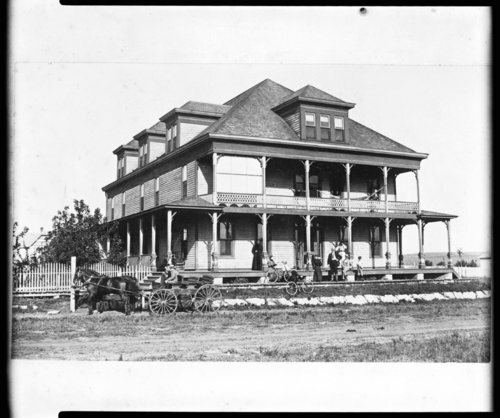 Two photographs of the Windler Hotel in Maple Hill, Kansas. The hotel was built in 1887 by W. B. Small.